My computer wont let me ad to my post. So I've made a new one. I'm installing a FACTORY PRO full shift kit with shifting star. I ordered from RON EYERS a R/H clutch cover gasket. A water pump gasket. A clutch hub lock nut and the washer that sits behind it. I have a tube of Kawibond adhesive. Some grease and red locktite. I purchased a clutch basket holding tool from Cycle Gear and have four quarts of synthetic Castrol, a filter and a gallon of 50/50 coolant. I also have a new radiator cap. Honda. I plan on draining the coolant and oil before I open up the engine. Yes you have. Leave out the type of oil going to use. I forgot what a touchy subject that is. It's also taboo on the KAWASAKI ZX1441R site. What's wrong with synthetic Castrol? It's the best oil on the planet with the exception of the oil that I use. For the record. I just received notification that my Factory Pro parts already shipped. It only took a couple days and I have parts that are no longer made. From whom and for how much did you order? FP still lists the EVO-7 Shift STAR Kit (PN: SHFT-EVO-HON-77) as being available for $220 + $16 ground shipping. I found it for $166 including shipping but they say FP is slow to ship to resellers and it could be a month. What do you know about availability and cost? FP still lists the EVO-7 Shift STAR Kit (PN: SHFT-EVO-HON-77) as being available ..... but they say FP is slow to ship to resellers and it could be a month. For $200 more or less it better be a @#%@* automatic transmission. How different is the shift star and arm than stock? Where's JackFlash when you need him? It's Not, so perhaps this MOD is not for you. It is incrementally better, just like adding Jamie's shifter makes it incrementally better, or modifying Jamie's shifter for custom fit bushing makes it incrementally better. But no, it is not making it anything as slick, or "automatic"
The arm has a bearing, nut just a stamped wheel riding on a pin. The index wheel is cleaner, smoother and of different ramp contour. Tons of pics on line comparing the two... should even be some here on this site. I completely understand the parts and the affect each part has on the bike - it seems really expensive, that's all. 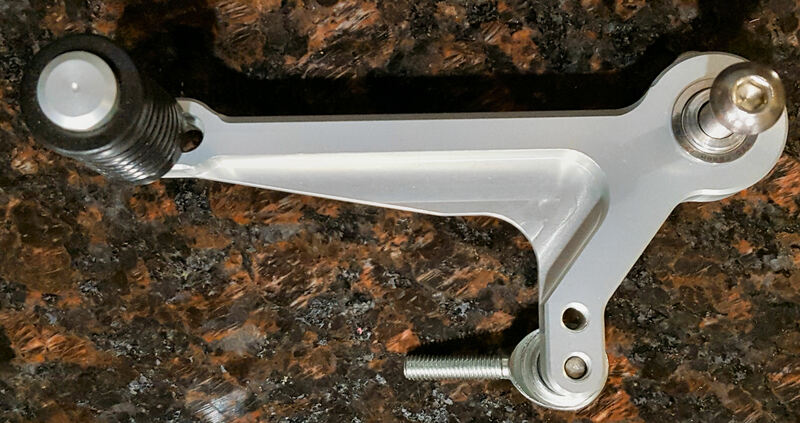 It would be nice if we could get the shift arm with the bearing end on it for say, $50. I suppose the low production numbers are what jacks the price up. The shift star and the arm/spring are sold separately. Though they work together directly and I don't see the usefulness in doing just half the kit. Fasteners are the same... I love shopping at ProBolt but the prices kill me,,, and there is no reason.. it's not material, and its not machine time costs. The parts are not complex and any journeymen CNC machinists can program his CNC machine to make a bolt. 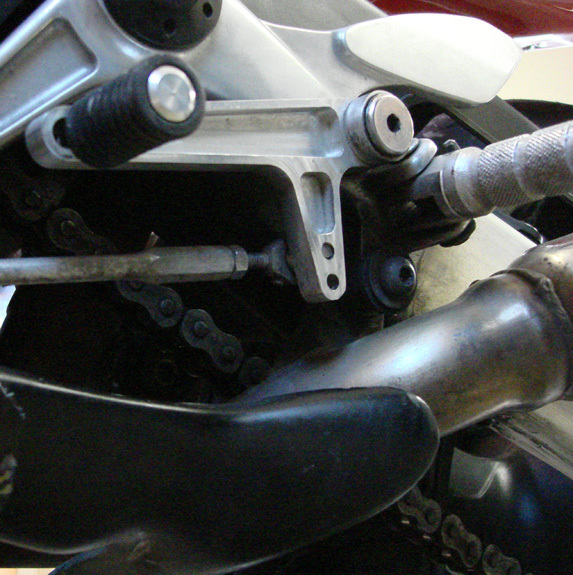 Do you think Jamie's shifte lever is worth it, given true heim joints are installed in the linkage? Also, did you install a bushing or bearing in Jamie's lever, and how and what exactly did you do (I could not find a link to where you may have discussed this before and provided this info)? It shifts like a different bike now. or modifying Jamie's shifter for custom fit bushing makes it incrementally better. 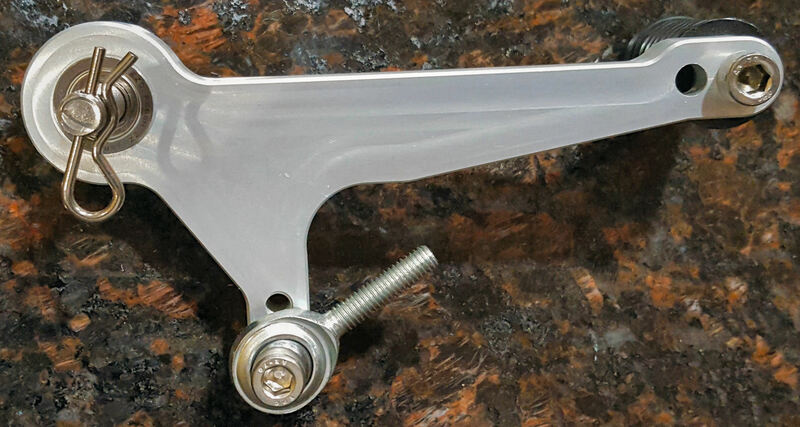 Erik, don't forget only the very first run of shift levers had the Teflon bushings - that was quite some time ago. The vast majority we have made had ball bearing pivots which is the design today. And that's why you're still in business, you don't sell what works, you develop better. It's installed and it's one of the best mods I've ever done on any bike!! It shifts SSOOO much better. I am intrigued by this shifter. I hear a lot about it but have never seen a picture. I am assuming Jamie you are Daugherty Motorsports or associated?? 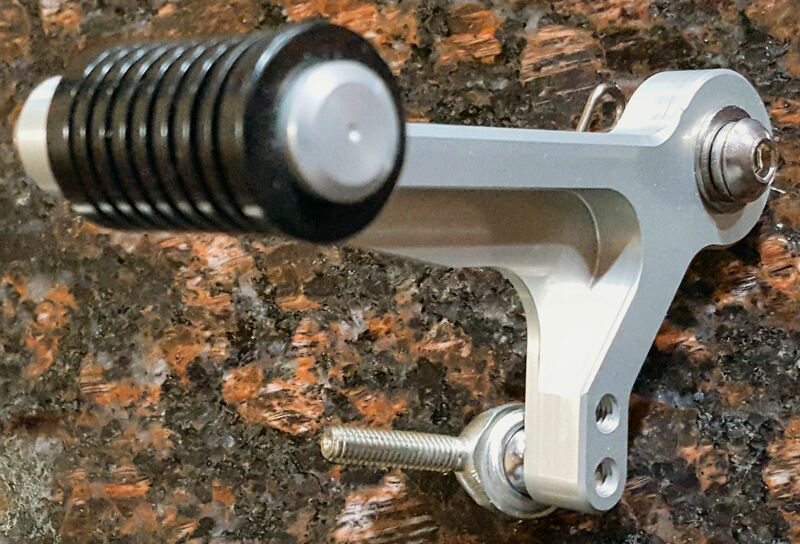 Checked the website for this shifter but not listed, so I thought it was a discontinued item. Are they still available? 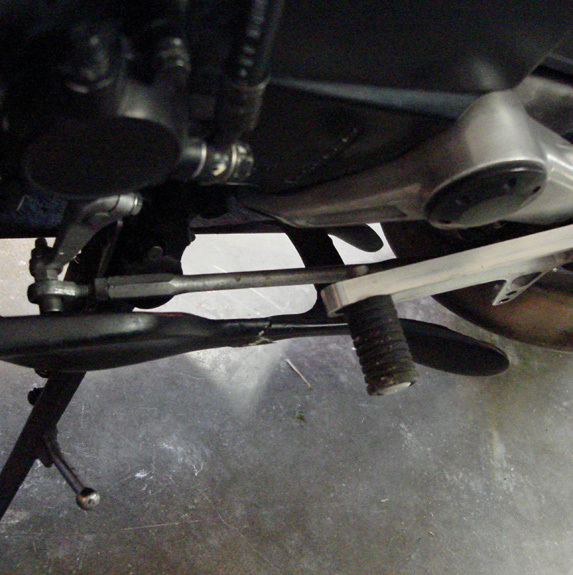 Here are two pics of the shifter.. You can also see the rod end modification I did to the link rod. It doesn't look like that these days. The design has changed. I'll post some pics tomorrow. Here's the current design as of last September. This is how it came from Jamie; I haven't added any hardware. Be sure to specify which type of link rod you have so he provides the appropriate Heim joint rod end - male or female. What's a shifter running these days? $$? Hey 102, word on the street is that Jamie is currently not in the US, so be patient on a reply. I don't like to post prices because they are subject to change. Feel free to check out my site for the latest pricing details. For items that are not shown on the site (like these shifters) feel free to drop me an email. Thanks! Quick Reply: Did I forget anything for my shift mod?